Been awhile since I’ve had a domestic Maruchan Yakisoba! This one was purchased on our drive back from our honeymoon this summer in mid-July. Got it and another one at a Chevron in northern Oregon of all places! Here’s the bottom of the box with the instructions and ingredients (click image to enlarge). 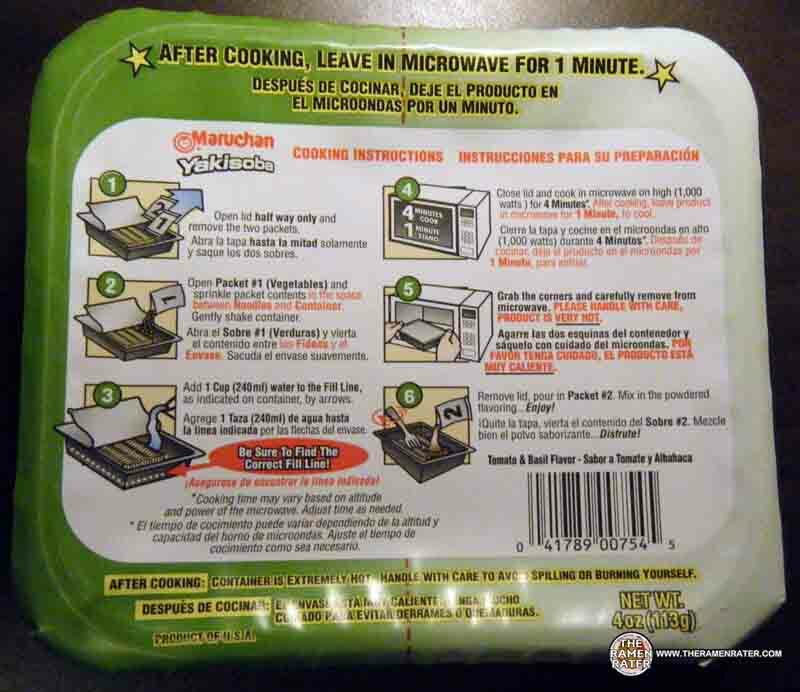 Under the labeling wrap, we find this even more detailed set of directions (click image to enlarge). It’s funny how they’re on the bottom and on here as well. I’ve messed these up before so I guess it’s a big deal we do what we’re told or noodlegeddon may rear its ugly head! 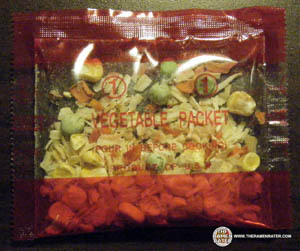 So you open the packaging halfway and put the contents of this between the container and the noodles and shake a little, then add a cup of water and microwave 4 minutes. Then you let it sit for a minute. 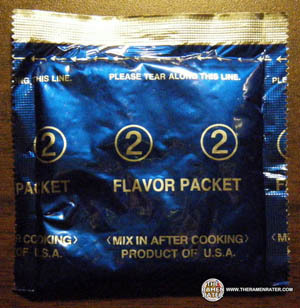 After that, you take this packet and add it to the cooked noodles and give it a serious stir. I decided to break with tradition a bit and put the noodles into a bowl. I must say I’m not a big fan of the black plastic containers, whether Maruchan, Nissin or otherwise. Click image to enlarge. Voila! There you have it. The noodles came out perfectly, as did the vegetables. I kind of didn’t expect such great results from this but whaddayaknow, it worked great! 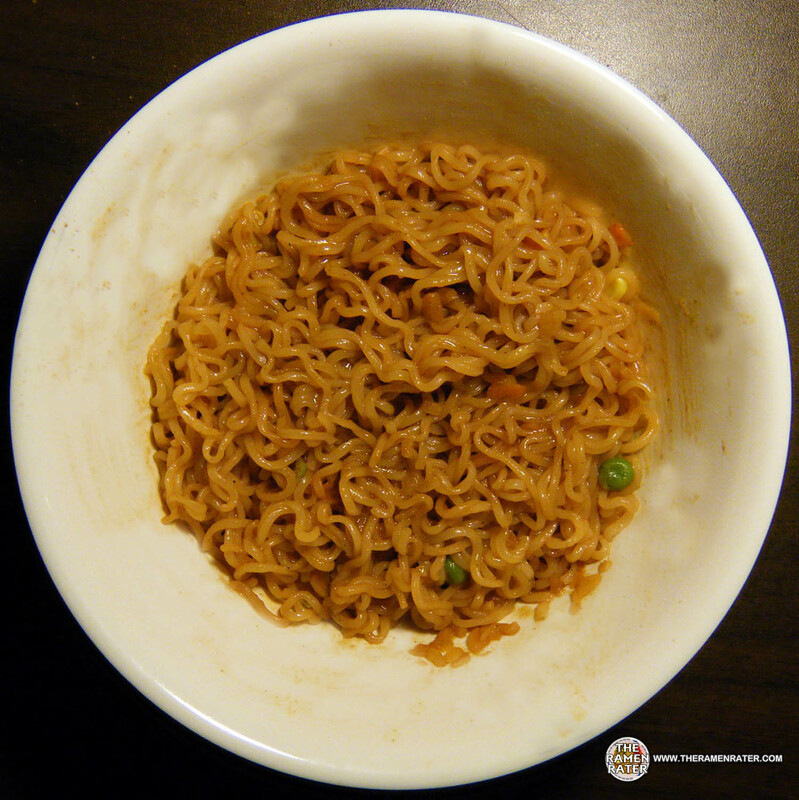 The flavor wasn’t as salty as I imagined it would be either – that was a heaping mound of seasonings I swirled into the noodles. Very tasty – kind of like beefaroni sans beef. I think some beef would be nice in it or some little bits of sausage! It’s kind of a strange international fusion; Japanese and kind of Italian-ish and very American. 3.0 out of 5.0 stars – decent, but lacking a little something… You can get it here. 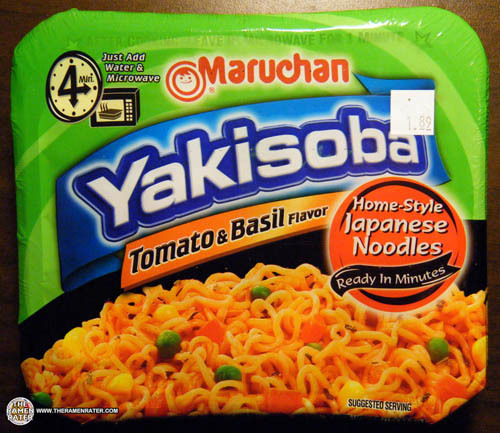 So now you can say you know what Yakisoba is in english and spanish. Yep… More random Thanksgiving Youtube videos. I can’t believe [people post this stuff – it’s amazing. Stumbled upon your blog via Reddit, love it! I now want to try all 10 of your top ramen picks. What are you gonna do when you run out of Ramen?? Hey thanks – actually it got a 3.0 / 5.0! mmm! beefaroni! that seems like it would be a tasty thing to mix in. 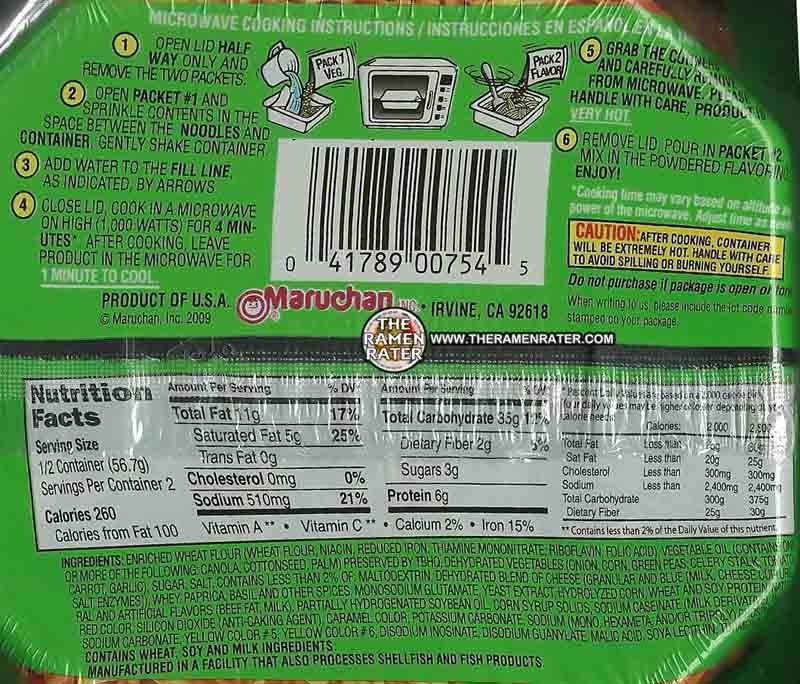 i wonder why they cant just have the ramen noodles in a can already cooked? 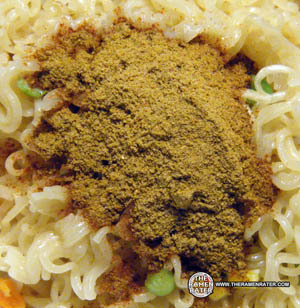 whats the difference between those and regular ramen? i think the beefaroni type noodles are lower in fat as well since they arent fried. Canned ramen eh? That’s a really really good point!